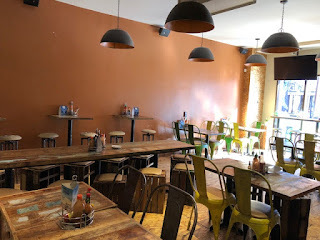 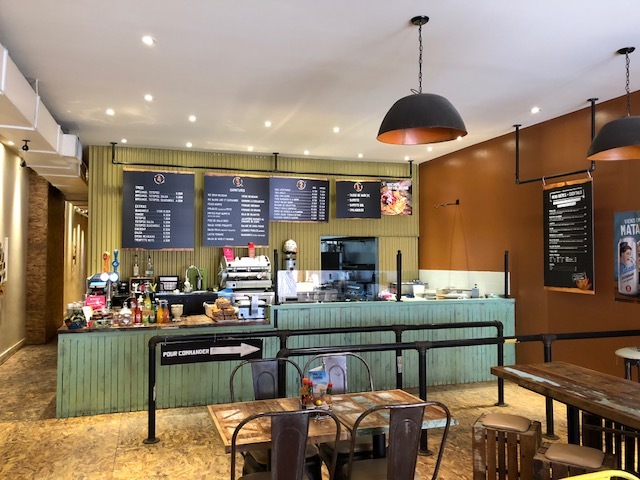 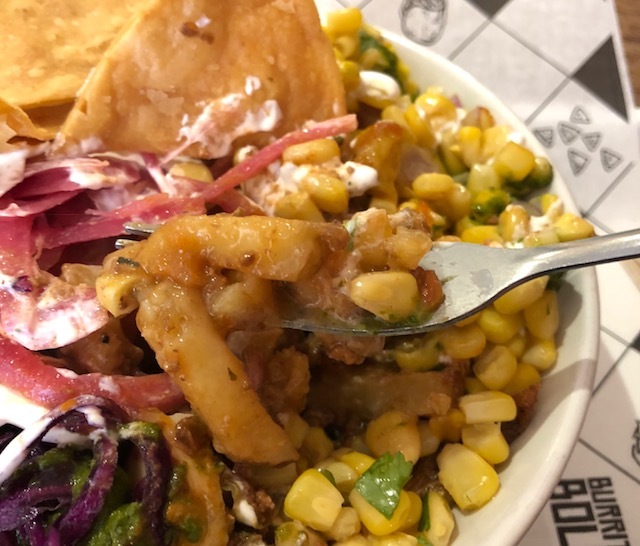 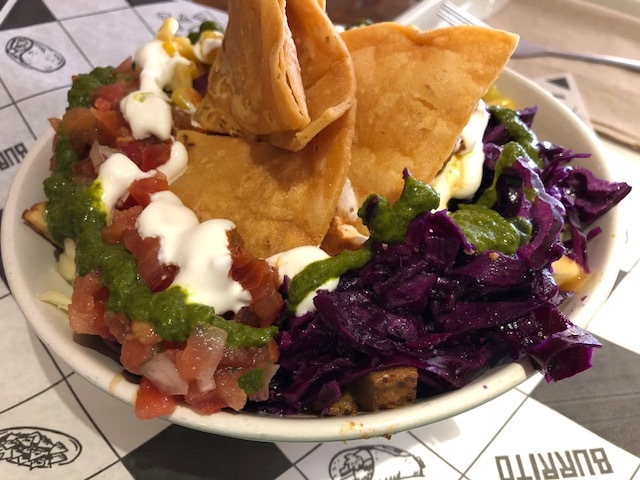 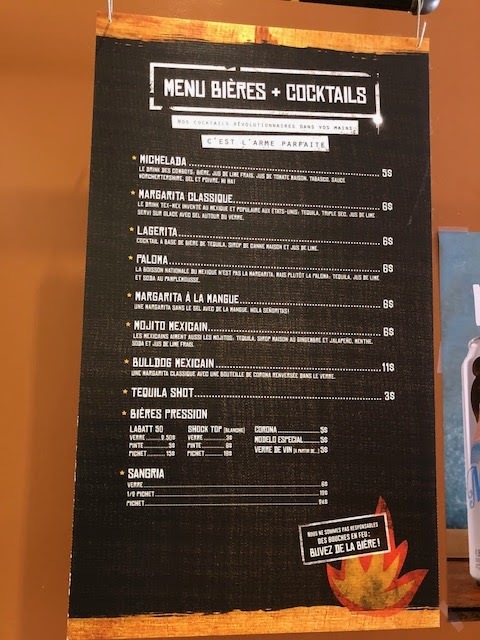 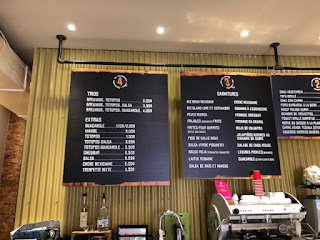 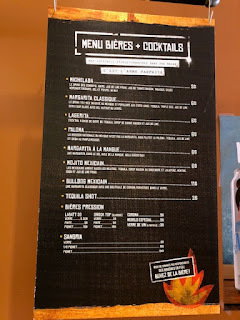 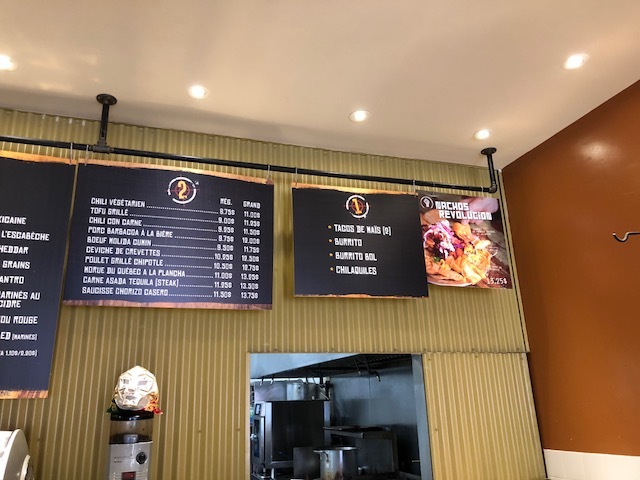 Burrito Revolucion is in Hochelaga-Maisonneuve area, and they serve Make Your Revolucion poutine during La Poutine Week 2018. First, they put fries in the bowl, poured gravy sauce and put cheese curds, and that's the base of this special poutine. 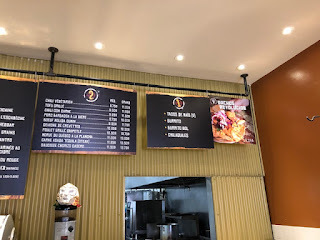 I could choose chicken, pork, beef or vegan option, and I chose beef. 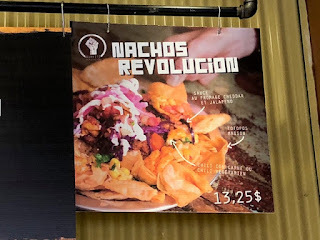 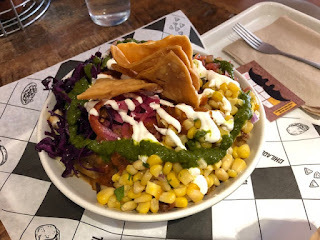 I thought the toppings was set as shown on the HP, but I could add whatever I liked, and I asked for pink-tinted pickled onions, purple cabbage, corns, tomatoes, salsa verde, sour cream and spicy sauce. 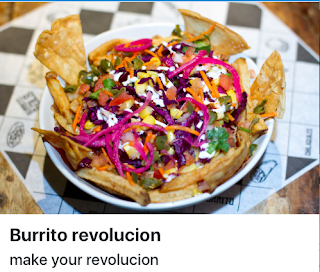 The chips were roughly put on the center top, despite the image showed the chips were placed along the bowl. 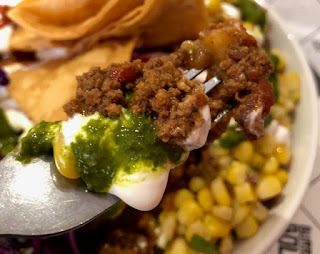 Ground beef was moist, flavorful, and seasoned well. 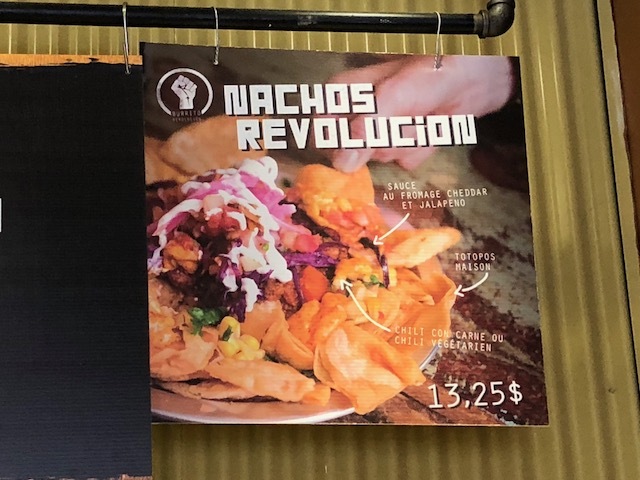 Chips were crunchy and crispy. Each vegetable was fresh and crunchy, and this poutine provided me more vegetables than I thought. 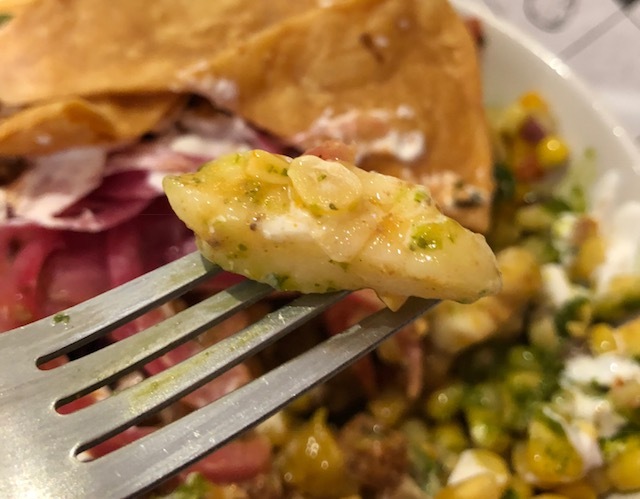 Cheese curds were large and many were chewy. 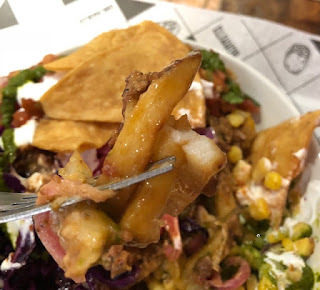 Fries were at the bottom so that all of them were soggy. Also, the toppings and sauce had strong flavors so that I didn't taste any gravy sauce. 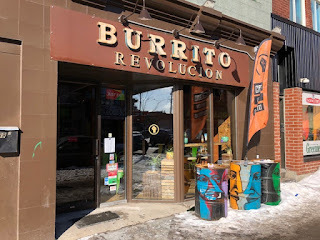 It's pretty far from where I usually stay, but next time I'd love to try their burrito or tacos.